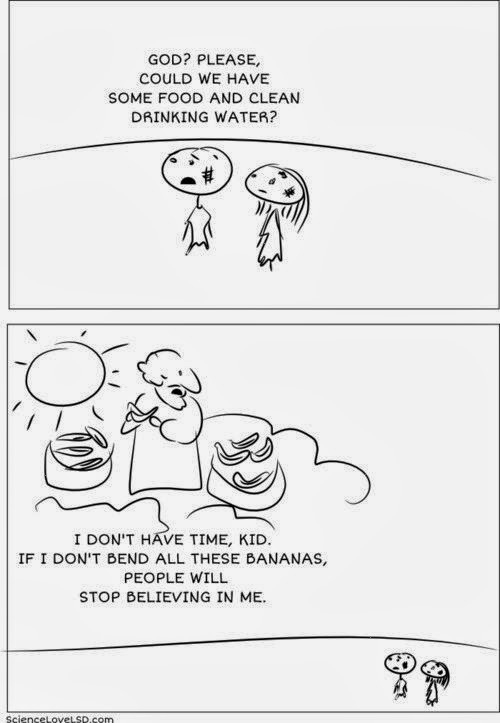 Funny God Bending Bananas Cartoon - God? Please could we have some food and clean drinking water? I don't have time, kid. If I don't bend all these bananas, people will stop believing in me.